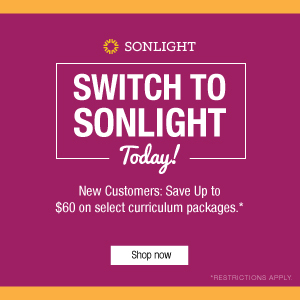 I read this article and wanted to share it with you: 7 Ways to Cultivate a Positive Math Culture in Your Homeschool https://blog.sonlight.com/positive-math-culture.html. More than likely, you are a family of book lovers. You probably have stacks in every room, tucked away in baskets or neat piles because you have run out of shelf space for all the novels and reference volumes in your collection. 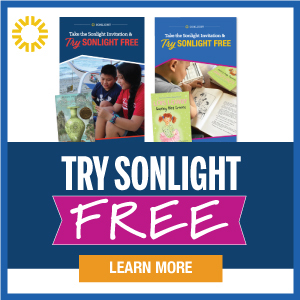 You value reading, and developing a family culture of literacy comes naturally. But what about math? Does your home give equal footing to math when it comes to your family's values? 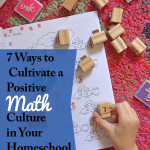 Here are seven ways to generate (or boost) that positive math culture in your homeschool. Culturally, we have a tendency to frame both mathematics (theory) and arithmetic (calculation) as difficult, and only meant to be truly understood by a select few. Can you imagine the damage we’d cause if we had this attitude toward reading and literacy? It would have a profoundly negative affect, not just on our individual students, but on our culture as a whole. Yet, we continue to perpetuate the “math is hard” idea, presenting it as something we just need to struggle through. A shift in our attitudes is crucial. How can we rectify this? However we might feel about math, we must be careful not to pass on negativity to our children. Instead, we can encourage, we can empower, and we can employ little tricks to avoid abandoning our kids to hours of tears over an endless worksheet. The idea is to cultivate a positive math culture in our home. Believe it or not, many libraries have an incredible selection of math-themed books. And these aren’t just drill books or compilations of problem sets. Math-themed books run the gamut from delightfully illustrated stories to more complex solve-it-yourself mysteries, and even include longer literature selections centered around a mathematical theme. The key here, of course, is not to assign these books just during math lessons, but to scatter them throughout everyday life, making math a normal part of your household culture. Have a little one whose capacity to understand mathematical concepts and calculate arithmetic exceeds his or her writing stamina? 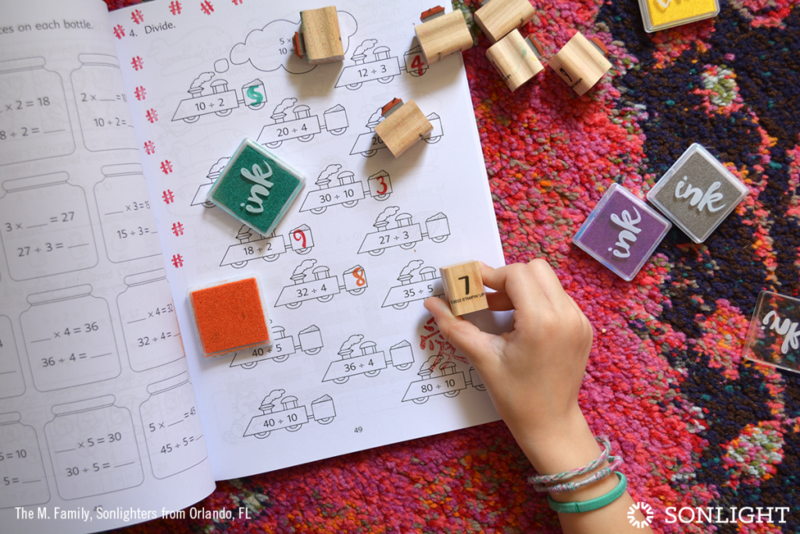 Instead of requiring writing, let the child utilize a set of 0-9 number stamps and a stamp pad. This is enjoyable, requires much less dexterity, and will speed the process along. This can be fun for older kids, too. As long as the work is getting done and the answers are still legible, I don’t mark down for doodles, drawings, and notes. Maybe there are a dozen rockets around the margin—every single day. Maybe the circles inside the 0s and 8s turn into faces, with a different expression every time. 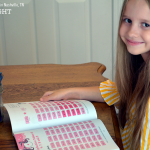 Some children—just like some adults—need to trail the pencil around the page while thinking. But is the doodling taking over, and nothing’s getting done at all? This trick even works for multi-step calculations where the student needs to show work. 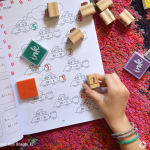 Allowing your child to dictate empowers him or her to explain each step, increases understanding, heightens the ability to recall math facts, and sharpens mental math skills. Most of us, I think, incorporate literacy and pre-literacy themes into conversation without giving it much extra thought. With small children, we emphasize beginning sounds. 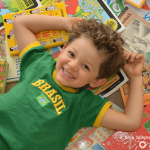 As our children grow, we point out examples of alliteration, rhyming, homophones, and more. Yet for whatever reason, we’re often less likely to work numeracy topics into our everyday chatter. I’m not advising you turn every situation into a teachable moment (that’s a fast-track to burning out), but simply to be aware of the endless opportunities to weave in how math relates to real-world circumstances. At the very least, this will build a working familiarity with math vocabulary, so when things like place value or polynomials finally pop up in your student’s math curriculum, it won’t be the first time he or she’s ever heard the term. 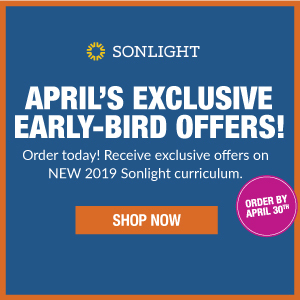 Talk about math demystifies it, gives context for it, boosts a child’s confidence, and breaks down the wall we’ve created culturally between math class and the rest of the world. 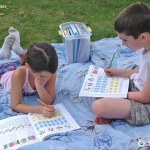 Make Math as integral as Reading in your homeschool. 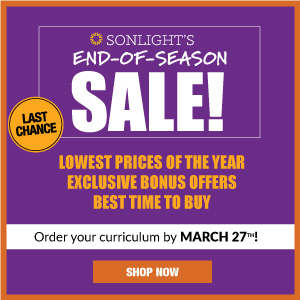 See all the Math options available to you here.